The third year has officially started with our open briefing for the 'Self-Initiated Project' on Monday. 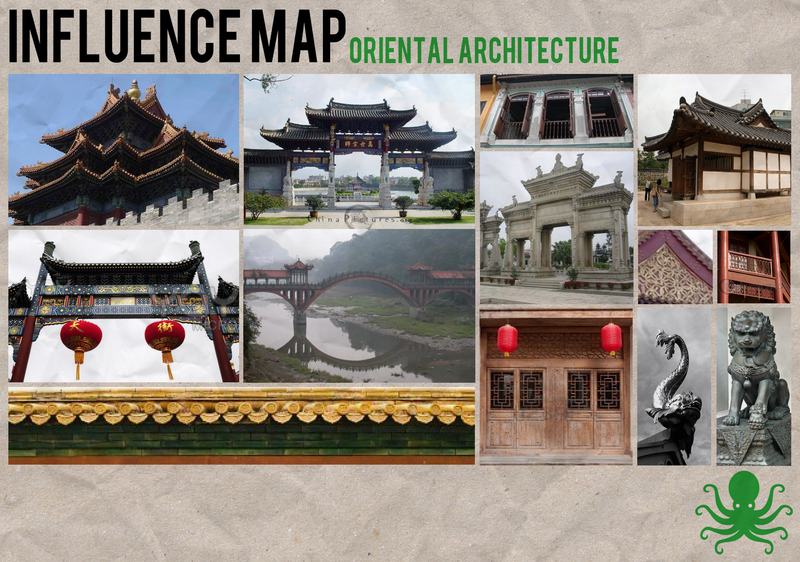 Richard and I have continued our progress under 'Green Octopus' into our joint-project. As described on our blog, we have explored a couple of different ideas and have settled on a film-idea which we see a lot of promise and possibility in. Our short synopsis is below, this will be expanded on after the idea is proposed to Alan. An oriental western environment with an added Sci-Fi element: The environment, being the main focus of the project, would be explored by a character rather than a camera fly through. 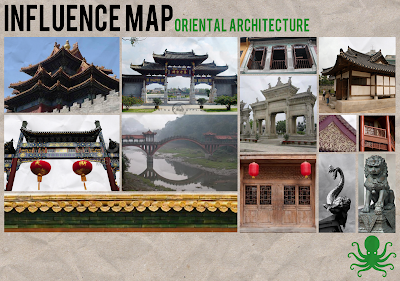 The environment would comprise aesthetics of oriental countries such as China, Malaysia, Thailand etc. and their ancient architecture. This would then be placed in a classic western environment for its harsh desert land. Within this setting there would be a deserted industrial town which would contain an exhausted power source. The character, being the secondary focus of the project, will be a mechanical drone on a search mission for an object within the town. The drone will be alien to the town, but will belong to the same world. 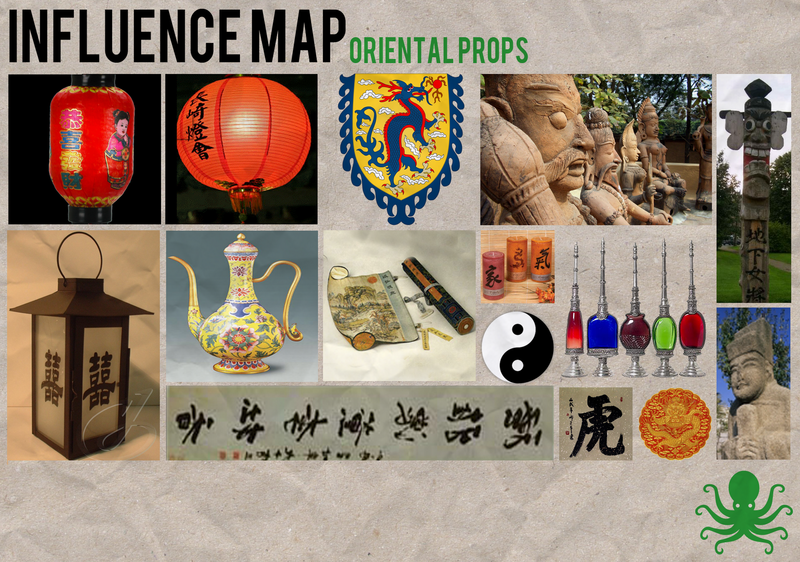 Richard has produced some Environment influence maps here, whilst I have researched some traditional Oriental props and architecture. Our current challenge in this project seems to be breaking away from the generic and easily recognised tropes / conventions of these environments to create something as original as possible, this is where a lot of Pre-production including Concept / Technical design is going to take place. I am currently working on Concept art which should be updated on the Green Octopus blog soon.